BS3676. BS EN 60669. Licence No.KM73110. 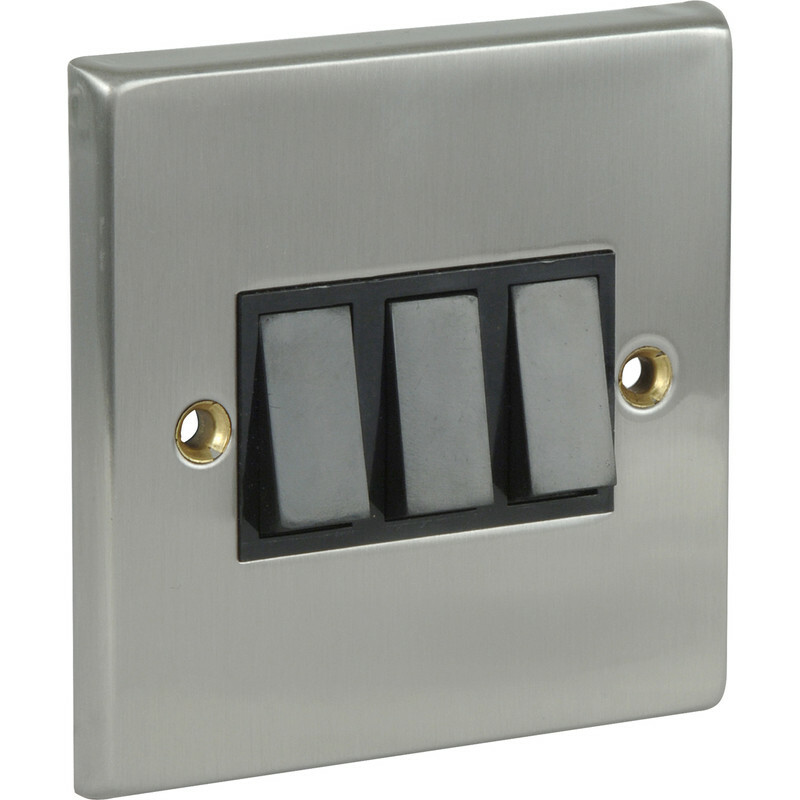 Satin Chrome / Black Switch 10A 3 Gang 2 Way is rated 4.8 out of 5 by 5. Rated 5 out of 5 by Dumbunny from Looks good, does the job. I used these for looks and price on a recent kitchen refit. The memsahib liked them so much that they are going into the rest of the house too. Rated 5 out of 5 by ator from Great product I brought this just recently but have them fitted elsewhere in our home and they do what there meant to do.